Grace Potts was with the China Inland Mission of the World Council of Churches. 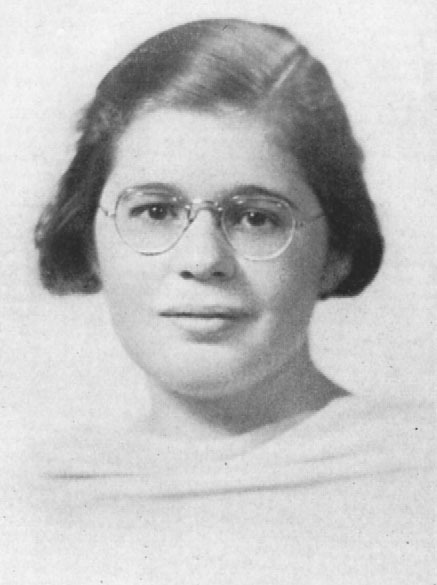 During World War II, she was a ballistics computer from 1942 to 1944, with the Ordnance Department of the War Office, Philadelphia Computing Unit. She was in China during the spread of communism. Alumnae Quarterly (AQ) February 1951: "Grace Potts reports, as of August 22, that she is quite happy despite war conditions in China. They are forbidden to leave the town where she is living, but she spends her time teaching a class of high school girls." AQ May 1951: "Grace Potts is in Nanking and from there will go to Hong Kong to await transportation home. She and other China Inland Mission (C.I.M.) missionaries were to be sent home as soon as transportation was available. Their work has been curtailed so that further stay is inadvisable." AQ November 1951: "Grace Potts arrived home in July and is making her home in Reading. So far her further missionary plans are indefinite, but she will continue mission work after her furlough." AQ February 1952: "Grace Potts has been home from China since July and hopes to return to some place in the Orient." AQ May 1952: "Grace Potts will serve in the translation department of the C.I.M. in Hong-Kong where she expects to go sometime in April." AQ November 1952: "Grace Potts is in Hong Kong China for three years helping in a translation office." AQ August 1953: "Grace Potts writes of the problems in Hong Kong especially of refugees. She lives on the ground floor of a modern eight-flat apartment house. She says it is often her joy to show visitors around this fascinating city which she finds so different from the little muddy town of Suancheng." Grace Potts sent greetings to the Class from China. “I am one of two and a half million sitting on the outside remembering those inside. Our mission, the China Inland Mission (which can no longer live up to its name, of course) has its publishing house here in Hong Kong. We are engaged in the preparation and distribution of all types of Christian literature not only Chinese but also in ten other languages of Southeast Asia.Grace and her family returned to the United States in 1960. Grace urges us one and all to be thankful for the freedom, security and many privileges of American life.